Flooded with daylight, friendly, simple and cozy … your holiday apartment in Haus in Ennstal – at the heart of the Dachstein Tauern region. Our cottage is a perfect holiday home for up to 12 persons. With its own sauna made of pine wood, large kitchen, wood-burning stove, large dining table and sun terrace. A rustic cottage, pure nature of wood and stone. With private sauna and terrace. Your vacation home for the whole family or with friends. For 2-12 people. 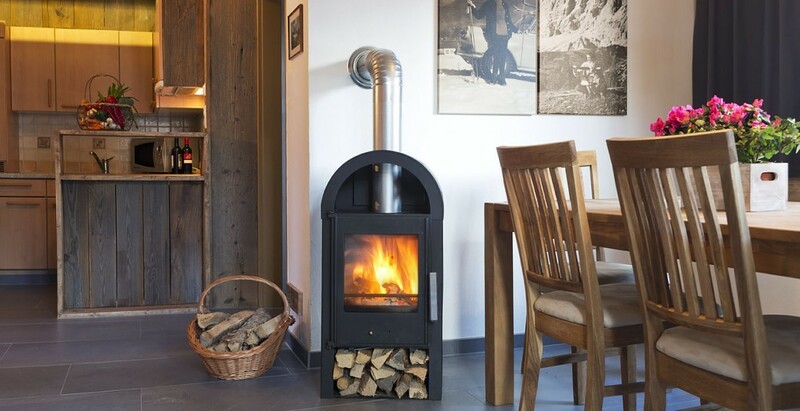 Cuddly and cozy and with modern facilities, but at the same time with traditional alpine chalet flair. Here you will soon feel completely at home and can dream about your further mountain adventures. “A G’weih” – a stag’s head with antlers. Now contributing to the cozy atmosphere in the comfortable living area of your holiday apartment. You would like to spend your holidays with your four-legged friend? Then you are at the right place! Everyone will feel perfectly comfortable at our place. The sauna house in the garden is the right place to enjoy wellness, to come together, to relax or to get cosy on a rainy day. Right in front of our door you can start off in your hiking pleasure. Enjoy the mountains of Austria’s premium hiking region, 930 km cycle and mountain bike paths and so much more. Idyllically situated on the edge of the forest, you will enjoy complete peace and quiet and you are centrally located. In just 5 minutes you are in the center of Haus im Ennstal. 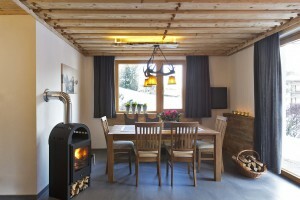 Look forward to your holiday home with a cozy alpine hut atmosphere, where you will also discover many modern details. A holiday apartment with children’s room and many nature adventures let the hearts of our young guests beat faster.A holiday apartment with children’s room and many nature adventures let the hearts of our young guests beat faster. You love to go to the sauna after an active day in the mountains? Here with us you can enjoy either the Sauna house or your own sauna in the cottage.You love to go to the sauna after an active day in the mountains? Here with us you can enjoy either the Sauna house or your own sauna in the cottage. An entire cottage for the family, for friends … for up to 12 persons. With sauna, large kitchen, wood-burning stove, large dining table, sun terrace and lots of privacy.An entire cottage for the family, for friends … for up to 12 persons. With sauna, large kitchen, wood-burning stove, large dining table, sun terrace and lots of privacy. Are you looking for a cottage that provides enough space for you and your friends or your entire family? Then our holiday home for up to 12 people is exactly what you are looking for.Are you looking for a cottage that provides enough space for you and your friends or your entire family? Then our holiday home for up to 12 people is exactly what you are looking for. Below you is a rock face with a 250 meter drop. All around you is an incomparable mountain panorama. Do not miss this view from the Dachstein Skywalk! The Dachstein Glacier Cable Car is only 30 minutes by car from our hotel to Ennstal.Below you is a rock face with a 250 meter drop. All around you is an incomparable mountain panorama. Do not miss this view from the Dachstein Skywalk! The Dachstein Glacier Cable Car is only 30 minutes by car from our hotel to Ennstal. (Deutsch) Freu dich auf viele neue Bergattraktionen in diesem Sommer: Die 8er Gondel – nur 500 m von unseren Ferienhäusern entfernt – wird heuer erstmals auch im Sommer an 4 Tagen pro Woche in Betrieb sein! Die Benützung ist in der Sommercard inkludiert! Und noch viel mehr! Put on your hiking boots and start your adventure with the Hauser Kaibling Gondula. The location directly at the edge of the forest will inspire even your four-legged friend! And the best thing: there are no extra costs for dogs. You are looking for something special? Our cottage can accommodate up to 12 people, offers a large kitchen with wood stove and even its own sauna made of pine wood. The perfect conclusion of an active day: Look forward to a relaxing visit to our cosy sauna house - with Finnish sauna and Bio sauna ... and fantastic view to the mountains. You want to drink a glass of wine, have a barbecue on the terrace or just do nothing? You will fell comfortable in our cottage. Come on a journey through our region Schladming-Dachstein. But take care: This film will inspire you for travelling - the best time to spontaneously pack your bags.